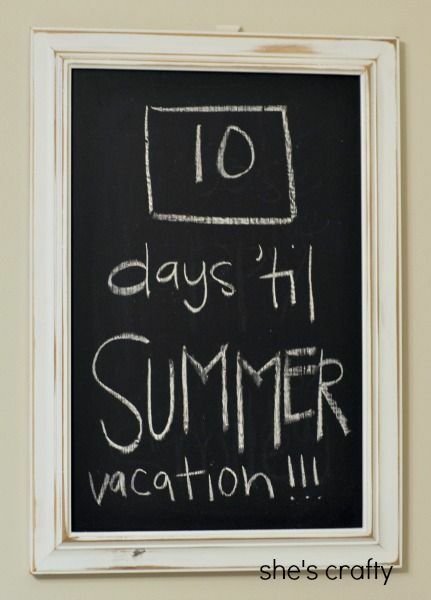 There are only a few days left until school is out and summer vacation starts! Yay! I'm looking forward to life slowing down with pool days, sleeping in and relaxing our schedule a bit. Before all that good stuff can happen, we have a little bit of work left to do. 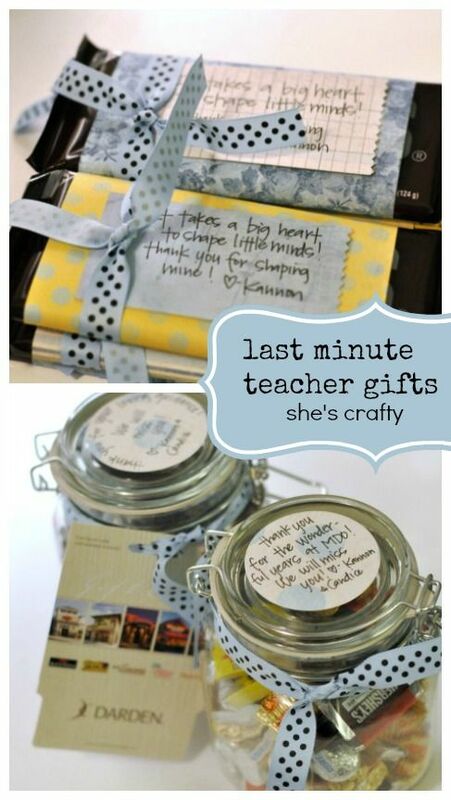 And part of that work is getting teacher gifts together! I know teachers work SO super hard and don't get the pay and recognition they deserve. So the least I can do is give them a token of my appreciation at the end of the year. This year I went with chocolate! 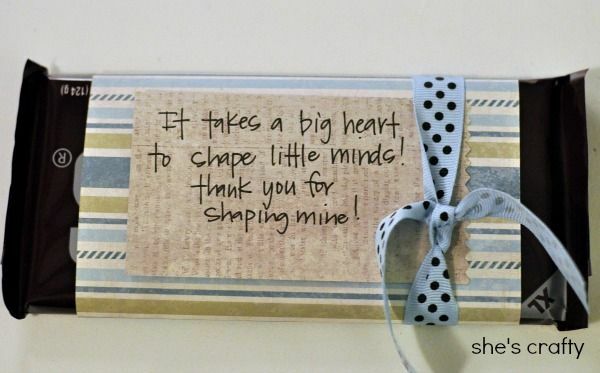 For my son's pre-school teacher (he's graduating pre-school this year, sniff) I did a jar full of assorted chocolates along with a gift card that can be used at a variety of restaurants. 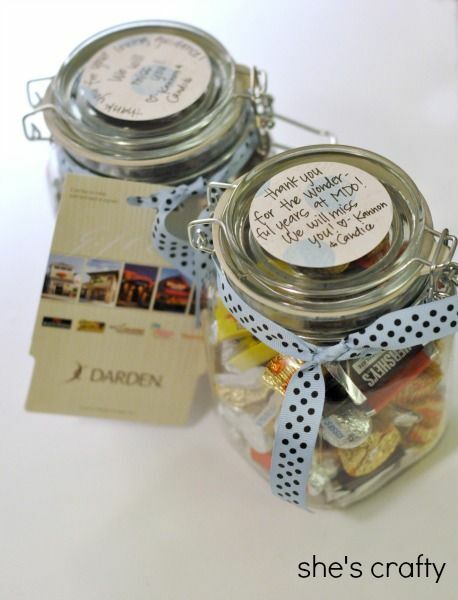 We are also giving the director of the school a jar of chocolate love too. 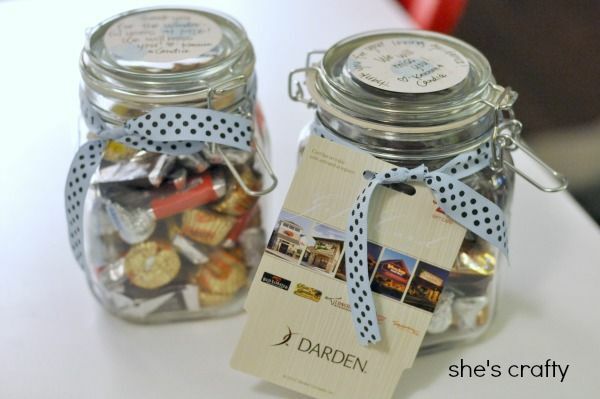 I put the gift note on the top of the jars. My kids have been going to the same pre-school for about 7 years. And now my baby is graduating. We will miss this school and the sweet women who run it!! I couldn't forget all of the wonderful teaching assistants around the school that help with everything! They are wonderful! 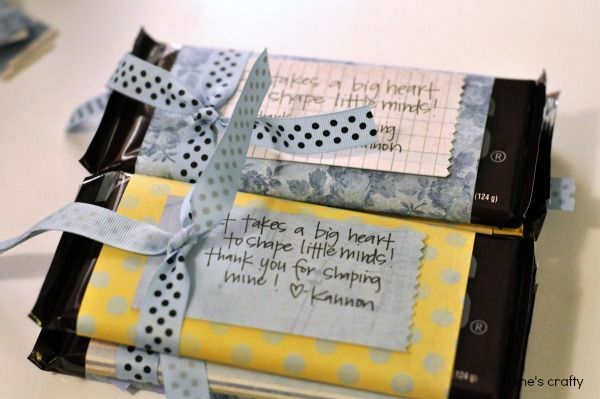 I wrapped large chocolate bars with some cute patterned paper. I wrote a lovely saying (found here) onto some coordinating paper, and then tied it all up with a bow! Let's pretend that I didn't put the papers on this chocolate bar upside down, ok? 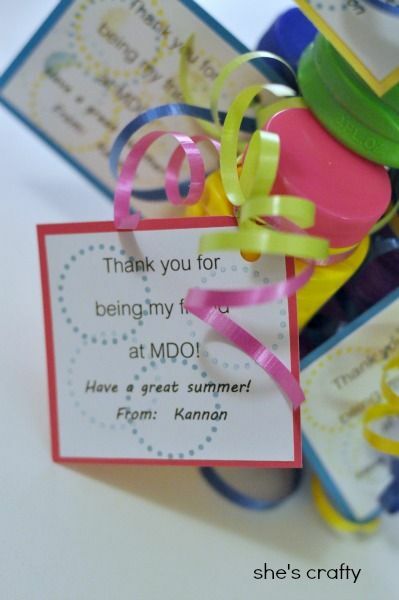 My little guy spends lots of time learning and playing with his classmates so I did a little gift for them too. 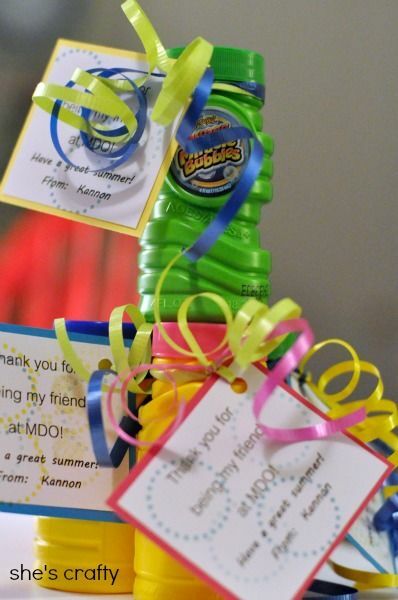 I just wrapped a jar of bubbles with some curly ribbon and attached a small note! Well, that's 3 things off my giganto list of things to get done in the next couple of days! I gotta go get busy!! !